Groundswell: Groundswell Fundraiser at La Sala! 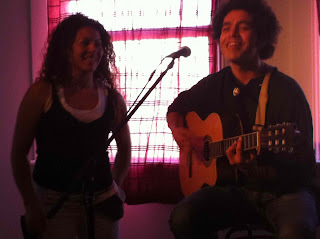 The event kicked off with Oscar Jimenez (Watussi) and Angela Rosero (Hispanic Artistic Expression) performing live at La Sala yesterday at Groundswell's fundraising event for NSW Multicultural Forum on 24-25 February 2012. We raised seed funds for our advertising and promotion and connected with some new people coming on board to support Groundswell's campaign!